Check out all the best of the week in Issue 119 of the Tech Smart Boss Newsletter. This week’s Cool Tech of the Week is Grasshopper. All Tech Smart Bosses need a good phone system for their business. When you’re starting out you can’t have everyone calling your personal call and as you grow, you need the tools to handle department calls, extensions, mobile apps, and more. 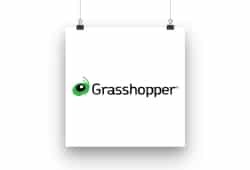 Grasshopper has a complete set of phone services for your business and just flat out works. Direct dial extensions, 800-numbers, SMS, call forwarding, call porting, you name it, it’s pretty robust. Check it out, Grasshopper, our Cool Tech of the Week!